One day workshop 10am ~ 4.30pm - click here for workshop dates. Bring your sewing machine* to join a small informal workshop, maximum 4 people, held in our cottage in Brampton, near Beccles. Become confident in drawing shapes, patterns and images with your sewing machine. A simple lunch of soup and bread will be provided plus refreshments during the day. If you have any special dietary requirements please let us know in advance. Click here to find booking details for available workshop dates. Choose a date that suits you and buy a booking. Once your purchase is confirmed, we will email you additional information. Your sewing machine must be able to drop it’s feed dogs and you will need to fit a darning foot to your machine - see below, click an image to see it larger. 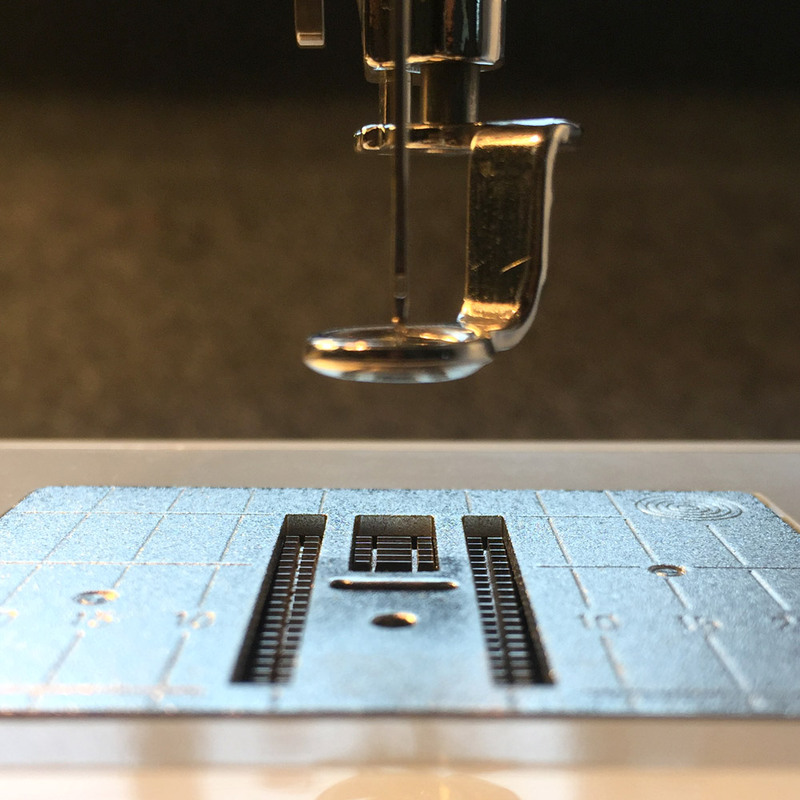 It's important that you can lock the feed dogs on your sewing machine into the down position, so that you can move the material you are embroidering onto, freely and smoothly in any direction. Fitting a darning foot allows you to clearly see what your doing. It is possible to work without any foot attached, but that does increase the chance of damage to your needle and machine. If you need any more information, or wish to discuss the workshop and it's requirements, please contact jane@mitchell-finch.com or call 07889 727570.